One of the first things I learnt from Ismail over the past ten months since I joined the CREW [Custodians of Rare and Endangered Wildflowers] team, is that “special” doesn’t always mean big or showy when it comes to threatened species, and there is much reward to be found in looking for the small and seemingly uninteresting plants as well. 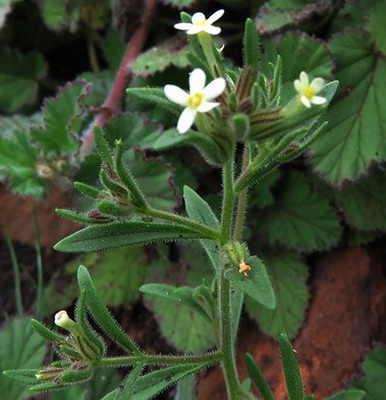 For my very first Peninsula based outing with the FloraDoc Group in October last year, [CREW programme manager] Ismail Ebrahim instructed me to seek and find Polycarena silenoides – a tall order for a small plant found only on Lion’s Head granites, and presumed to be extinct. 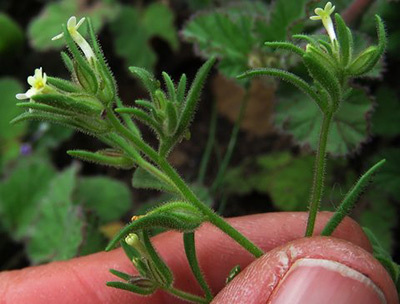 Of course we didn’t find our plant on our first search in October, but undaunted, if I subsequently heard of anyone going anywhere near Signal Hill/Lion’s Head, I beseeched them to look out for a small plant in granitic areas that reminded them of a Silene. True to form, on Sunday I once again emphasised to our group of ten volunteers that we were looking for “Ismail’s plant” and we set off in search of this elusive target, on a mild, overcast morning, with the odd hint of impending bad weather threatening to disrupt our botanising fun. Eventually we reached our main target area on the lower road on the western side, below Lion’s Head, where the granites start, and Chris “Vynbos” suggested we split the group, and that those feeling nimble and fleet of foot could explore the more bouldery section south of where we were to reach the higher road, while the more “cautious” of us would simply scramble our way up the steep slope to the path, where we would rendezvous before returning to our vehicles. Wendy Paisley, Gerry and Gill Adlard and I opted for the more direct scrambly route up the slope, and we didn’t get very far as we were discussing a Pelargonium triste, when an insignificant little weed-like plant about 8 or 9 cm high next to the Pelargonium caught my eye. Closer inspection confirmed it was a scroph (Scrophulariaceae family), and upon reading the description, all the “boxes” for the identifying features appeared to be “ticked” – so I hazarded a guess that we had finally found our plant and proceeded to take many pictures. I will admit that the prospect of rediscovering a species that is presumed extinct is exhilarating, so Sunday night was a bit restless for me! Despite all the stress and bustle and chaos of most of our team preparing for departure for a field trip to Sutherland on Monday morning, we were still elated in the office, when SANBI’s Dr John Manning confirmed my find as indeed being the long lost Polycarena silenoides – a really insignificant looking little plant that can be easily overlooked, and dismissed as being something common. Granite Cape Flax – as it is commonly known, was probably obscured by mature vegetation on previous searches, and we are fortunate that after the fire, it is now visible in the burnt area, where there is not yet too much competition from other larger plants, and if you look carefully, it can be seen amongst the other emerging plants like Oxalises, and several other Scrophs like Manulea charianthus, Zaluzianskya villosa and Z. divaricata. 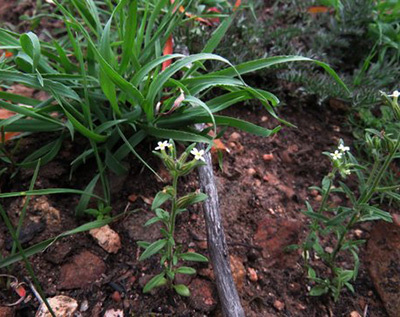 This population of Polycarena silenoides will now need to be more fully assessed and monitored, so that it’s Red List status can be revised, and more can be learnt about its life form and responses to fire and other threats. It is encouraging to know that perseverance pays off, and small can be exciting too. 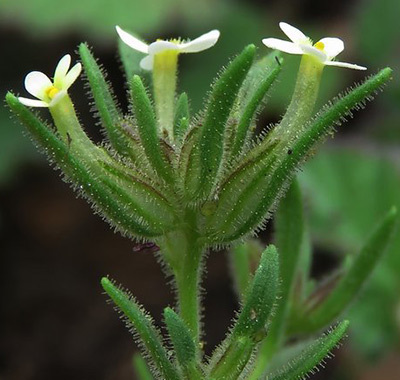 So let’s keep looking for those elusive threatened plants on our target lists, and who knows how many other long-lost species are waiting for us to rediscover them.